Getting to Grips with French Grammar at Key Stage 2 breaks the French language into the key elements of gender, verbs, sentence building and forming questions, providing a model of progression in each one. Detailed assessment activities demonstrate how grammar can be assessed within a variety of contexts, alongside other aspects of the Programme of Study. 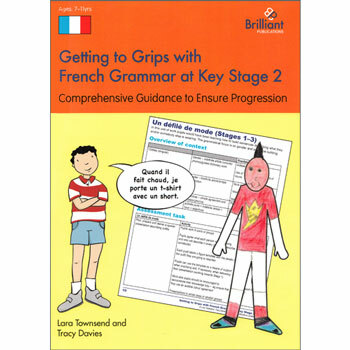 Getting to Grips with French Grammar at Key Stage 2 has been developed for use with children aged 7 - 11 (Key Stage 2) who are learning French.